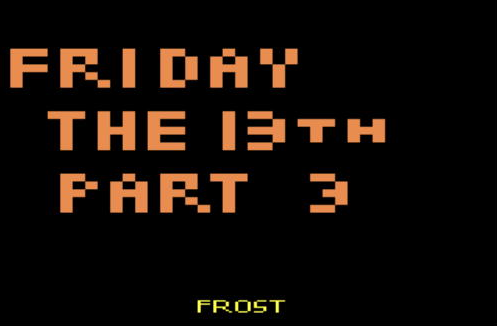 Home / Editorial / The Films: Part 3 / Franchise Video Games: Friday The 13th Part 3 For Atari 2600! 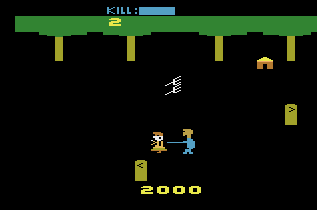 Franchise Video Games: Friday The 13th Part 3 For Atari 2600! The quest to find serviceable Friday the 13th video games has long been the goal of many fans of the franchise. Nintendo's Friday The 13th game, which was released in the late 1980's, was a valiant effort, but really left many people with an empty stomach. There are those gamers and fans, however, that have taken matters into their own hands. 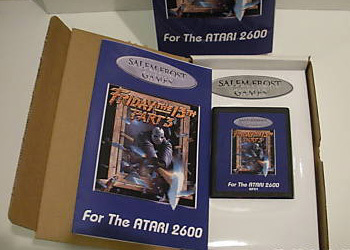 There’s a group on the web called AtariAge where certain members create new games using old Atari game engines to suit a new adventure. These members also make their own artwork for the boxes of their new games that are created. 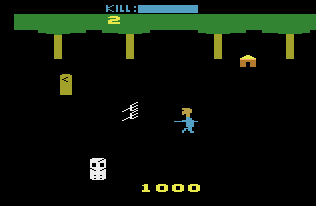 And wouldn't you know it, such is the case with this Friday the 13th Part 3 Atari 2600 game that was developed by a member at the AtariAge forums called Salem Frost. How many people would have killed, literally, to have a game based on this film back when Atari was THE gaming system? Read the description below and check out the box art and early screen caps! Recreate one of the best sequels to the most horrifying slasher movie ever made!! Grab your joystick and become “Jason” the homicidal, axe wielding maniac of your nightmares!! A group of hapless tourists have trespassed in your woods. One by one, they’ve been hunted down and eliminated. Now, only a handful remain!! Grab your axe and find as many victims as you can before you lose your urge to kill.